Celebrate the end of a productive year with a bang! 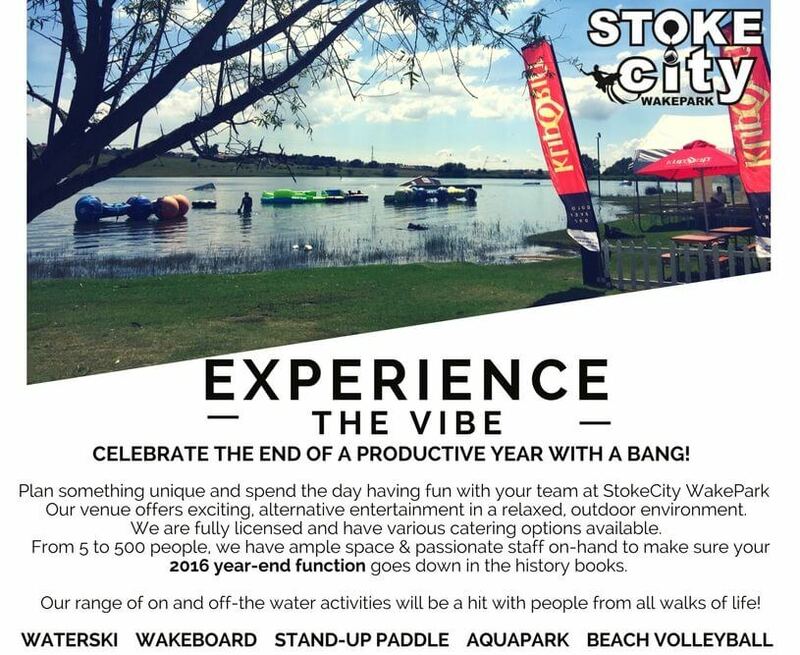 We know you’ll be stoked that you chose StokeCity WakePark as you venue of choice for your Year-End function. We would love to host you so please mail us your enquiry! NEW AquaPark Floating Obstacle Course – Host your very own AquaGames! Minimum booking is 10 guests, and all participants getting on the water must be able to swim.